1) Plan your assignments. If you’re like I was as an undergraduate, you’ll think planning is boring and you’ll jump straight into writing your essay. Think again. If you don’t know where your essay is heading, the chances are you’ll lose direction and end up nowhere, with a string of ideas that may be excellent but are lacking in cohesion. To avoid this, you need to plan a structure. 2) Structure your assignments. Think about the question in your title, then think about your response to that question. This will give you your conclusion. Next, consider why you think this; that will give you the body points. Then all you have to do is write the essay, starting with the body points and leading to your considered conclusion. Finally, you can write the introduction. Of course you can write the introduction first, but be careful that writing the introduction does not become merely an essay planning exercise. Remember too to introduce each paragraph with a topic sentence, and keep to one topic in each paragraph. 3) Read efficiently. Did you know that you don’t need to read every word of your books or journal articles in order to gain information? If you’re not sure if something will be useful, read the introduction and conclusion first. Then, if it seems that the text will be helpful, scan through for key words from your essay title, as well as synonyms of these key words. Finally, read the sections of text that seem most relevant. 4) Reference correctly. In Australia, the US and the UK, as well as many other countries, it is important to put a reference in the text (or in a footnote) every time you refer to an idea from someone else, even if you are not quoting directly. This reference should appear next to the idea or quote, and not just at the end of a paragraph. It also needs to appear in a reference list at the end of the assignment. 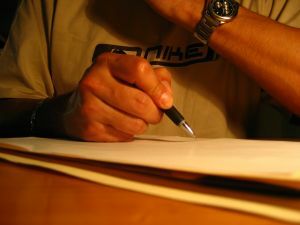 The importance of referencing in academic writing cannot be overstated, as failure to reference in Western academic culture is seen as plagiarism. There is a humorous video clip here that illustrates this. Referencing may have different rules in different academic cultures, so if you’re studying at or through a Western university be sure to check what you need to do and which system to follow. 5) Critique, don’t just describe. In Western academic culture you are not expected to agree with everything your lecturer says; you are expected to argue and discuss and present a point of view. That means that you should think critically about what you read, and not just describe a writer’s ideas. Maybe other writers disagree, or maybe they support your first writer? Make sure you can see how these perspectives meet or diverge, and be prepared to argue your case and persuade the reader why your answer to the question is correct. As you can see, I’m writing from an Australian perspective. If you do things differently in your country we’d love to hear from you and compare approaches. It would make a really interesting discussion. Wherever you are, good luck with your essay writing! Love the video. I plan to sho my classes! My top technique for writing essays and papers for university is to write as fast as you can, not as well as you can. You can always edit/rephrase it later. I edit a lot of essays for students in Canada and the US, as well as teach English, and I believe the most important part of an essay is the ideas, as you state. I see a lot of essays where an entire paragraph is full of sentences re-stating exactly the same idea. No grammar fix can improve this. Only writing courses should mark down significantly for grammar errors. Of course no students should be earning marks high enough to consider graduate school if they can not write, but the point of education should be critical thinking. 1. ANSWER THE QUESTION!! Often students write about the topic but they don't address the central debate with a clear answer. I ask my students "what is the question? How have other people answered it? What is your answer??" 2. Remember that you have to write several drafts before an essay is finished. Don't go straight from drafting to editing. There is another stage - revision - where you consider whether your assignment is structured clearly and logically. Be prepared to reshape substantially at this stage - and it will make all the difference to your final product. I can roughly say that your blog content was totally perfect. It contains some good tips in writing and planning all of your schools assignments. This could be an ideal way to obtain good essay writing by making an outline on the different terms you may want to use on your writing. best essay writing service reviews.